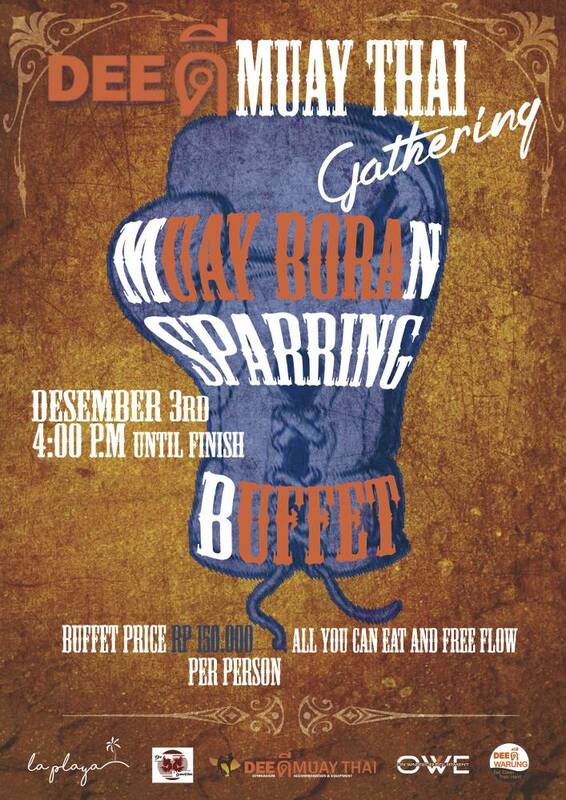 On this event all of Dee ดี Muay Thai family members can be socialize, make a new friendship or new relative. This event open for public. We will serve the buffet (all you can eat) with ONLY 150k/ person, you can enjoy 15 types of cuisine from Dee Warung. During the time, you can watch “full muaythai sparring” from our members and also muay boran show (traditional of muaythai performance) from Trainer Ary and Trainer Hendra. Save your date and make sure you already booking our limited spot.